Photograph by Leon Walker Photography. Creating Utopia: Imagining and Making Futures will explore the intersection between art, culture and the natural environment as the inaugural conference of the Lorne Sculpture Biennale. The 2018 Biennale, held from 17 March-2 April, is devoted to the curatorial theme 'Landfall', expressing pertinent global issues of nature and endangerment. 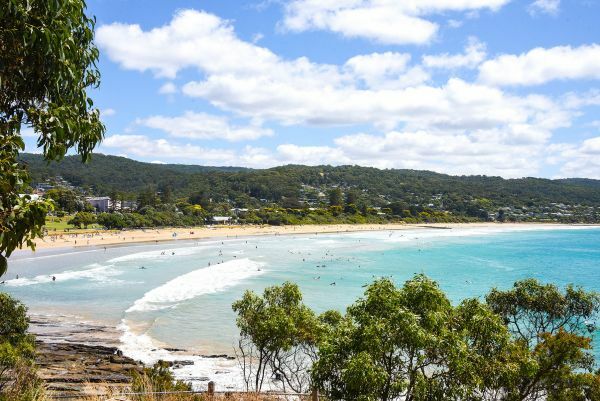 Artists' sculptural work will feature along a four-kilometre trail in the coastal town of Lorne, along the Great Ocean Road. The conference will bring together a group of people investigating through research and practice the themes of 'Landfall': art and environment, sustainability and impact on human and earth futures. Papers will reflect on issues of environmental decline and degradation, and the wider processes of social and environmental transformation and the regeneration of nature. Melbourne School of Design staff are among the invited speakers, including Senior Lecturer in Architecture and Urban Design David Mah, Senior Lecturer in Architecture and Urban Design Leire Asensio-Villoria, and Professor in Landscape Architecture and Heritage Ray Green. Senior Lecturer in Architecture Lindy Joubert is the Lorne Sculpture Biennale President and Conference Organiser. The conference will be held over two days from 23-24 March, with registration on Thursday 22 March from 4-7pm. An optional speakers' lunch is on Sunday 25 March at Qdos Arts. Single-day, two-day and student registrations are available. Find more information and register to attend here.